Get rewarded for spreading the word about us! 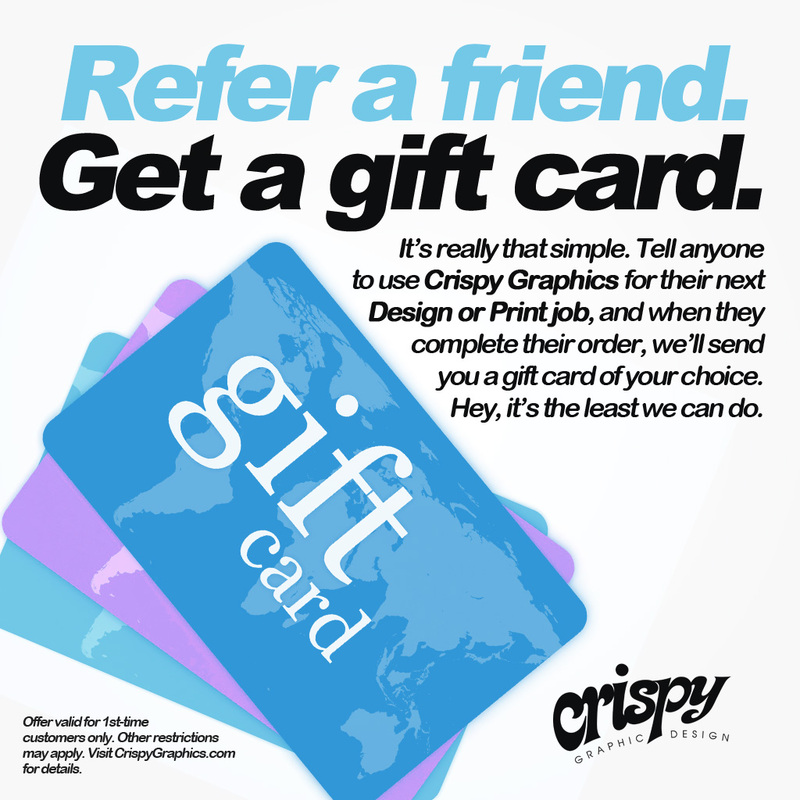 Receive a gift card of your choice when you refer a customer. No catches or gimmicks–only email address required to sign up!